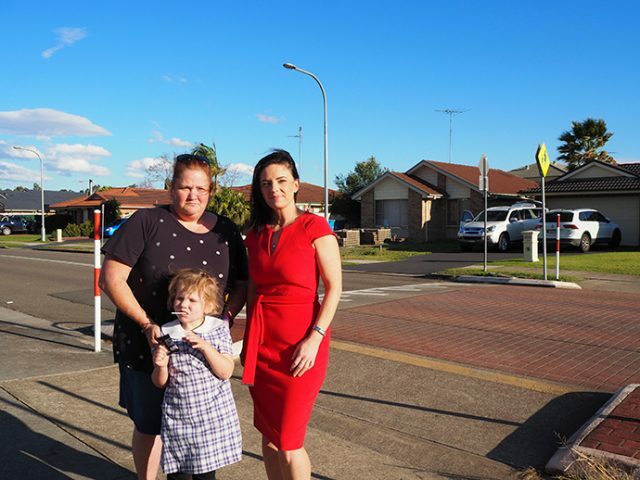 On Sunflower Drive, students from Claremont Meadows Public School find themselves crossing the road without supervision, leaving local parents furious as their concerns grow alongside the traffic in the suburb. A driving force behind this year’s campaign to get a school crossing supervisor is local mother-of-two Shannon Kopp. 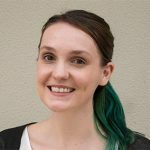 “The traffic of an afternoon [is busy], there has been a number of near misses… and even cars that have been impatient trying to push other cars across the crossing,” she said. “We have special needs kids who use the crossing and students who are not tall enough to be able to be seen over the top of a car bonnet. 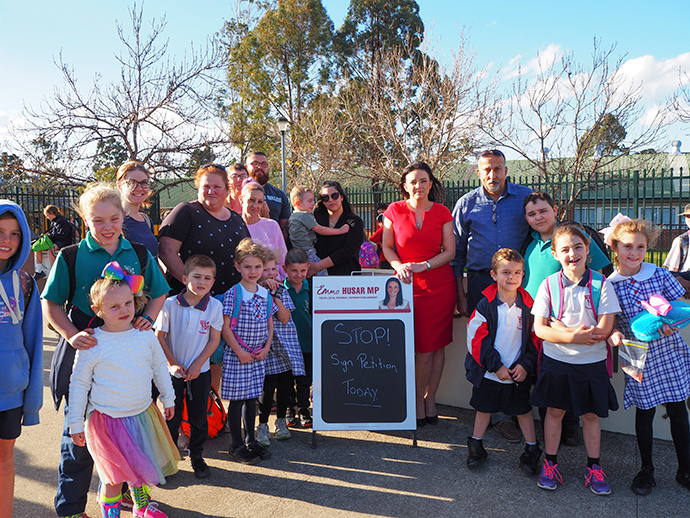 An online State Labor petition has been set up, which Federal Member for Lindsay Emma Husar has thrown her support behind, saying “it’s imperative that we get kids to and from school safely”. “Not only do we have more residents which mean more students coming here, we have a lot of trucks coming in this area,” she said. In 12 hours, the petition had gained 170 signatures, and early this week was sitting at just under 500. Despite their concerns, Claremont Meadows Public School does not need a supervisor according to Roads and Maritime Services (RMS) criteria. A spokesperson said the school doesn’t meet the requirements. “Roads and Maritime Services carries out thorough reviews when assessing the need for school crossing supervisors, including pedestrian and traffic counts and other safety measures,” the spokesperson said. “All new applications for a school crossing supervisor are assessed against the same criteria so that locations with the greatest road safety need can be prioritised.